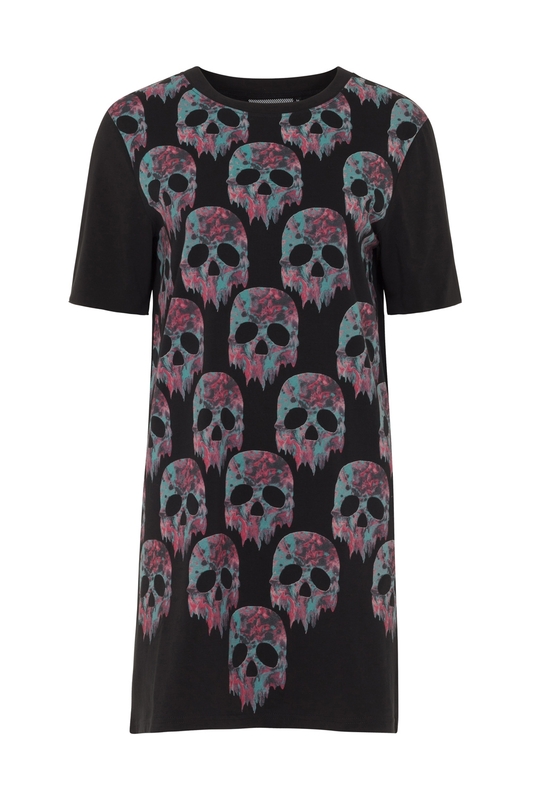 We’re seeing skulls galore with this stylish, skeletal t-shirt dress. With a repeated marbled skull pattern this piece is a kaleidoscope of skulls that we can definitely see ourselves rocking this season. Love the Print? Check out our Two Tone Skull dress for more skull play!